Grew Up… with his father Giuseppe Conlan. Although Gerry was a rather rebellious youth, Giuseppe takes pride in how he raised Gerry. He has helped Gerry get out of a pickle any time his son was in need. Living… in the early 1970’s during the IRA’s most active stint. The Irish are tired of being ruled and being poor and are rebelling. Revolution is everywhere. Profession… unemployed. Gerry is young and insubordinate and has no intention of choosing a “career path.” To get by, he has resorted to stripping lead from houses to sell and even robbing a prostitute. Interests… punk music, “free love,” and dope. Challenge… being imprisoned for life for something he had nothing to do with. Gerry and three others have been charged by the British police with being the IRA terrorists who bombed a pub in Guildford. And his father Giuseppe, who was trying to come to his aid, has also been arrested for conspiracy. Gerry is determined to prove their innocence, but it’s going to be a lot harder than it should be – especially considering the prejudices of the legal system, which is based in the heart of the UK and headed by the kind of English who have been persecuting Irishmen for years. Personality… rebellious, mischievous, and free-spirited. Gerry is a scoundrel in many senses. He doesn’t like to follow rules, but that by no means makes him a killer. He’s trying not to get too caught up in what the IRA does, and no matter what anyone says, Gerry would never engage in a serious violent attack. Gerry Conlon's popularity ranking on CharacTour is #4539 out of 5,000+ characters. See our top-ranked characters and read their profiles. 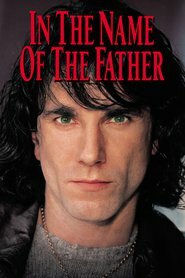 A small time thief from Belfast, Gerry Conlon, is falsely implicated in the IRA bombing of a pub that kills several people while he is in London. He and his four friends are coerced by British police into confessing their guilt. Gerry's father and other relatives in London are also implicated in the crime. He spends fifteen years in prison with his father trying to prove his innocence.